Nothing can compare to a gorgeous wedding cake at a traditional wedding reception. However, why not consider offering a few non-traditional wedding desserts for your guests as well? More and more today, couples are choosing to steer away from the traditional path a bit and add various non-traditional treats to their dessert tables. If your wedding is going to take place during the summer, why not consider adding a DIY sundae bar to your dessert table? There are dozens upon dozens of ice cream flavors you can choose from, and you can even add frozen sherbet or yogurt if you wish. Guests will love being able to pick their own toppings such as nuts, granola, candy sprinkles, fresh fruit, chocolate syrup or melted caramel. You can even save a little money by making some of your own toppings ahead of time. Another great non-traditional dessert that you can add to your dessert table is a DIY fruit salad bar. This is a terrific idea for guests who are health-conscious or watching their weight. Fruits you may choose to use for your salad bar include fresh blueberries, strawberries, other berries, grapes, apple and orange slices, diced pineapples, and sliced melons. You can also offer cool whip for a tasty salad topping. If you are expecting a lot of guests that enjoy chocolate and other candy treats, why not consider creating a chocolate and candy buffet? Start out by placing a five-tiered plastic or glass wedding tower in the center of your dessert table and fill it with delicious chocolates and candies that you’ve purchased or made yourself. Next, place various crystal or other attractive bowls around your tower and fill each one with a different type of chocolate or candy. 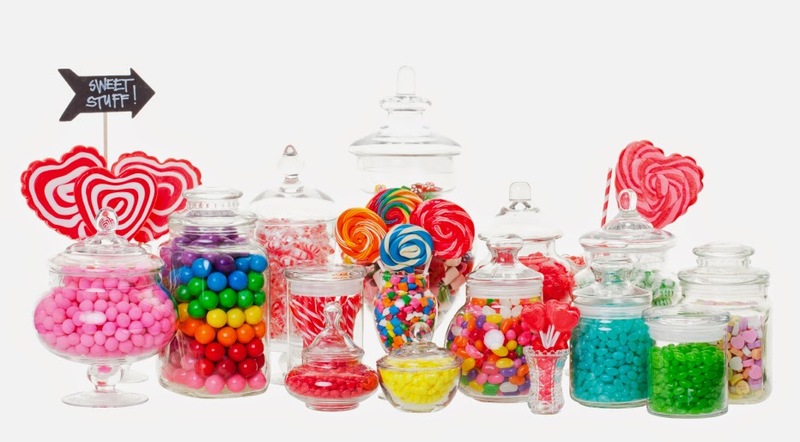 For a colorful and appealing candy buffet, you can add such popular treats as M&Ms, Gummy Bears, Sweet Tarts, Red Hots, chocolate-covered raisins and/or peanuts, and homemade lollipops in various colors and sizes. Consider making wedding-themed candies yourself to save some money. All you need is a few ingredients and a wedding themed candy or lollipop mold to make the most delicious candies for your special day. An alternative to a chocolate and candy buffet is a tasty cookie and wafer buffet. You can set this up in much the same way as the candy buffet, except you will fill the tower with cookies and replace the bowls with platters. Some cookies and wafers that go well with champagne and wine are pecan tassies, vanilla wafers, biscotti, macaroons, cream-filled sandwich cookies and fruit-filled pinwheels. If you are planning your wedding and would like to add a little twist to your dessert table, you should consider offering some non-traditional wedding desserts to your guests. However, when choosing desserts for your big day, make sure that you let your guests know about such ingredients as nuts or strawberries in case they have allergies.